Laudato Si is not your parents’ environmentalism. Pope Francis’ message is so much more than Reduce. Re-use. Recycle. It could perhaps best be described as Repent. Reconcile. Resurrect. He calls us to repent from greed and consumerism. We are to “replace consumption with sacrifice, greed with generosity, wastefulness with a spirit of sharing, to move away from what I want to what God’s world needs.” LS 9. To reconcile with God, with our neighbor, and with all of creation, Pope Francis counsels that “the best way to put men and women in their place, putting an end to their claim to absolute dominion over the earth, is once again to put forward the figure of a Father, who creates and who alone owns the world. Otherwise, human beings will always try to impose their own laws and interest on reality. LS 75. And we are called to live with a view toward Resurrection, that is, to understand that even as we anticipate the resurrection of our own bodies as part of the salvation story, Creation, too, longs for this renewal. All of God’s creation, humankind, plants, animals, the earth, indeed the entire universe will share together in the renewal made possible through the death and resurrection of Jesus Christ. Romans 8:19-22. LS 83. We, therefore, must care for and protect that which we will continue with into eternity, even as we care for our own bodies. Laudato Si is powerfully Pro-Life and specifically anti-abortion. Pope Francis presents the seamless garment like no other encyclical and explicitly calls for protection of the unborn. He makes it clear that you cannot say you care for the environment, or any issue of justice, if you do not care for the unborn. “It is clearly inconsistent to combat trafficking in endangered species while remaining completely indifferent to human trafficking, unconcerned about the poor, or undertaking to destroy another human being deemed unwanted. This compromises the very meaning of our struggle for the sake of the environment.” LS 91. Again he writes, “When we fail to acknowledge as part of the reality of a poor person, a human embryo, a person with disabilities – to offer just a few examples – it becomes difficult to hear the cry of nature itself. Everything is connected.” LS 117. 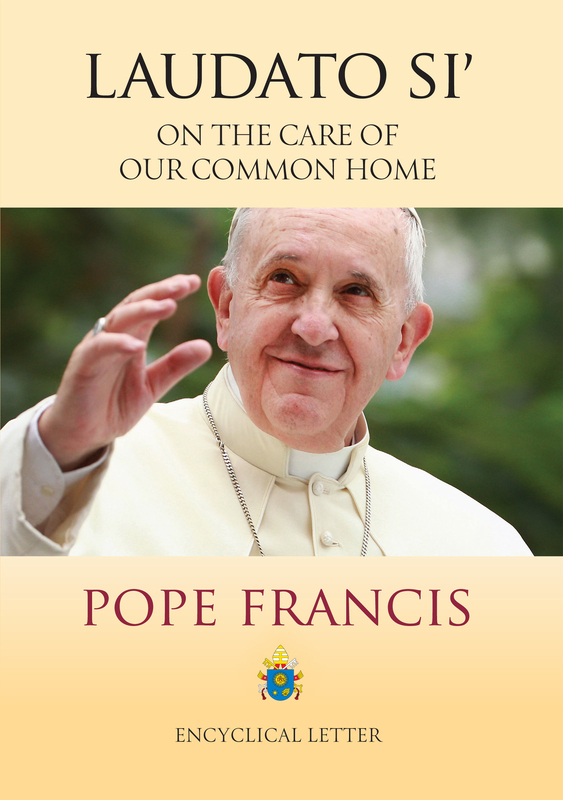 Laudato Si is a document that should be read in its entirety by every Catholic. Avoid the temptation to simply read articles and commentaries by others about the document, or to only listen to what the pundits have to say. It is not a difficult document to read. One need not have a deep background in theology or philosophy as is the tendency of some (most) encyclicals. Pope Francis writes as the practiced, life-long pastor he is, distilling complex concepts into thoughts and principles easily understood by the person in the pew. When you read it, you will find an urgent message, overwhelming in its implications. But you will also find a message of hope, if we only but act, now. I want to welcome you to PaxBlog! At this virtual table we will “break bread” together. With a Bible in one hand, a newpaper in the other, and with 2000 years of Catholic Social Thought looking over our shoulders we will examine the pressing issues facing this world. Perhaps through our dialogue we will sharpen our thinking, define our actions, and deepen our resolve. Remember, this is a blog, not an “official church document.” So don’t get all bent out of shape if something said here doesn’t seem quite “orthodox”. This is a free flowing forum. I’ll have my say, you can have yours. The emphasis is on the process, not the end product.